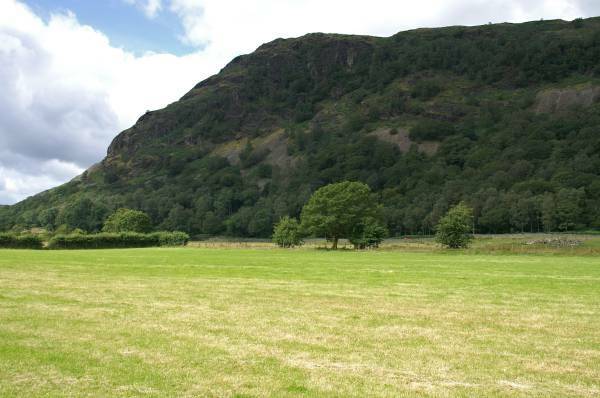 Hole Rake and Tilberthwaite Gill. Route. 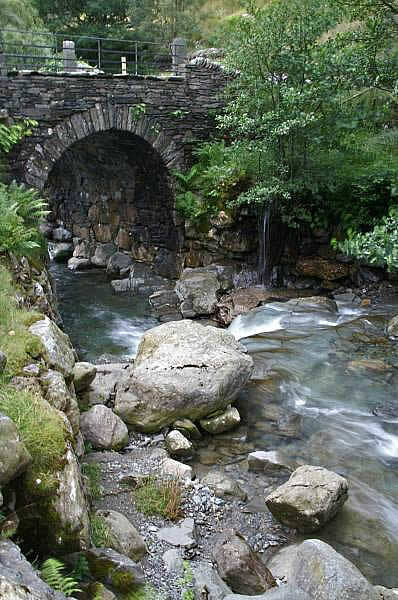 Coniston - Dixon Ground - Miners Bridge - Hole Rake - Tilberthwaite Gill - High Yewdale - Low Yewdale - Back Guards Plantation - Sheoherd Bridge Coniston. Notes. 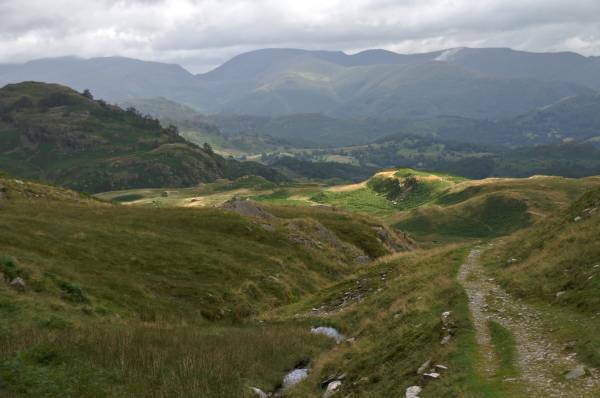 I wasn't sure what the weather would do today, I don't think the weather man was either, I decided to make my way to Coniston, steer clear of the high fells to cross Hole Rake instead, drop into Tilberthwaite to make my way back through Yewdale on the Cumbria Way. 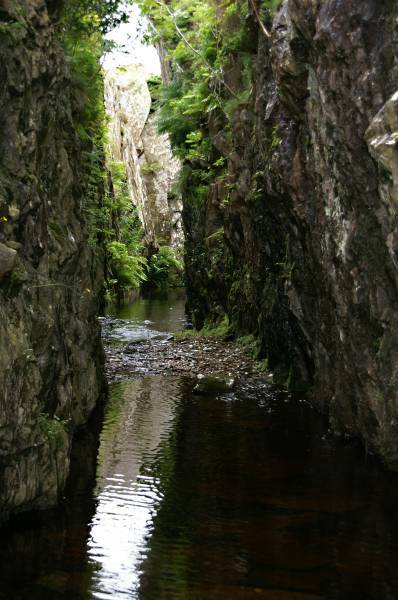 From Coniston I made my way through Dixon Ground to follow the tumbling waters of Church Beck as far as the single arch of Miners Bridge, I crossed the bridge carrying on up hill into the Coppermines Valley. 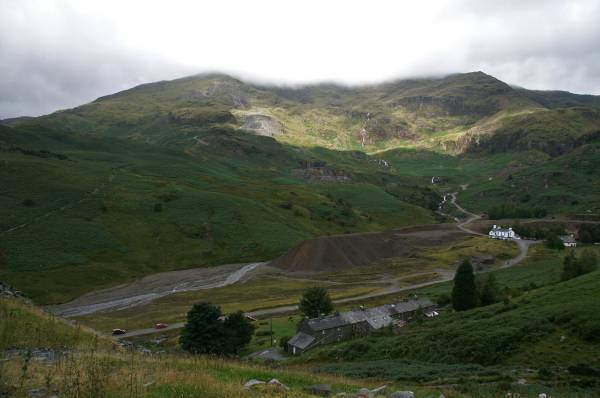 On reaching the new hydro electric dam a mine track rises to the right, I ascended this passing the remains of Coniston's mining heritage, abandoned copper and slate mines, the remains of fallen buildings, spoil heaps and the odd piece of rusty machinery, I eventually entered Hole Rake. Hole Rake is a high valley slicing through a cutting between the Furness and Yewdale Fells, obviously an important route in it's day. My route follows the path through the Rake descending over Yewdale Moss to reach the impressive ravine of Tilberthwaite Gill, I descended on the south bank passing more disused quarries before reaching the road. 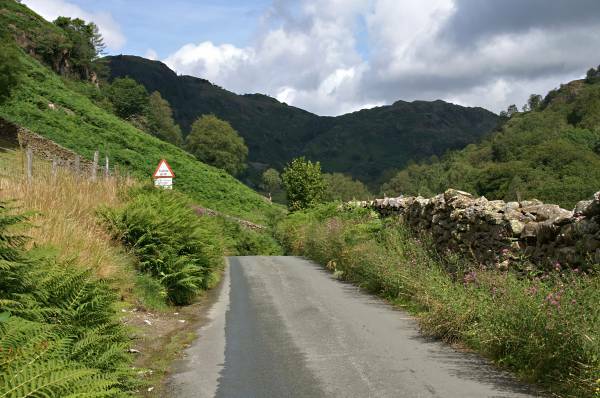 I wandered down the tarmac lane between the impressive cliffs of Raven Crag and Goat Crag to reach the main A593 Coniston/Ambleside road, here I turned left just around the corner opposite High Yewdale Farm a gate and fingerpost allowed access to field paths. It was a delightful walk through Yewdale joining the Cumbria Way at Low Yewdale Farm before passing through the mixed woodland of Back Guards to be followed by a short descent passing The Dog House? 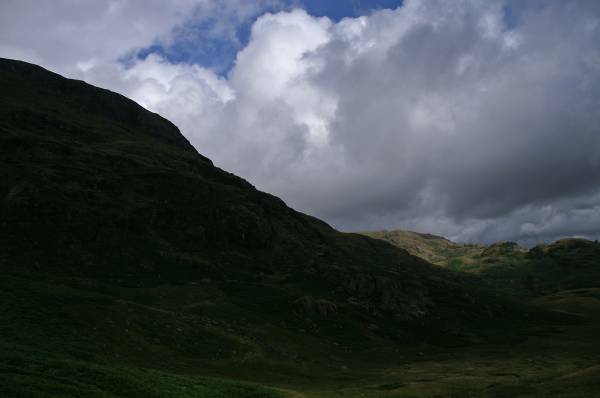 before reaching Coniston Village. Miners Bridge marks the entrance to the Coppermines Valley. 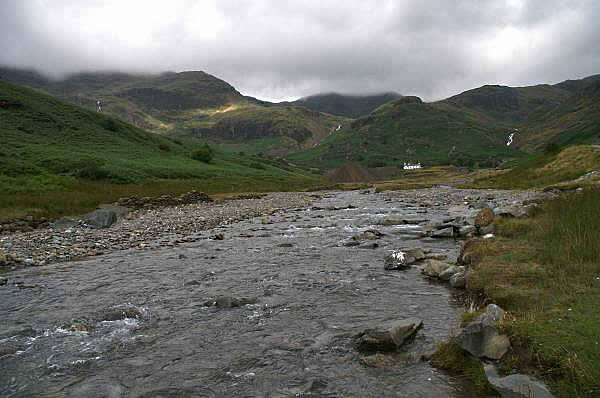 The Coppermines Valley with Swirl How and Brim Fell under cloud. 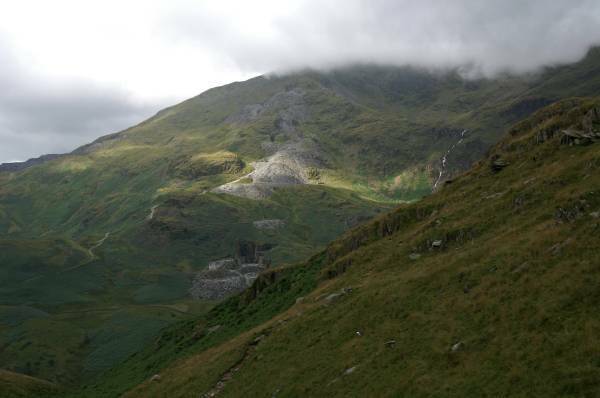 Seen over the Coppermines Valley under cloud Coniston Old Man. 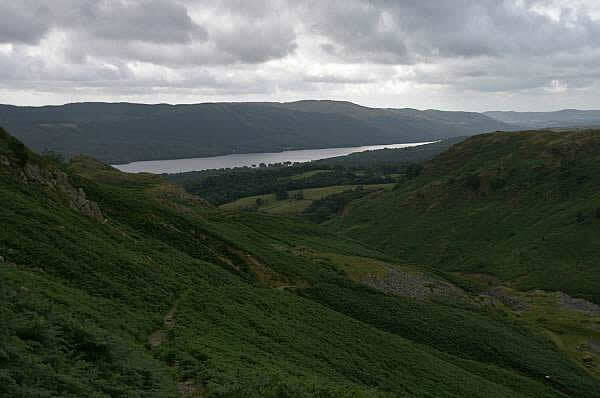 Ascending to Hole Rake looking back to Coniston Water. 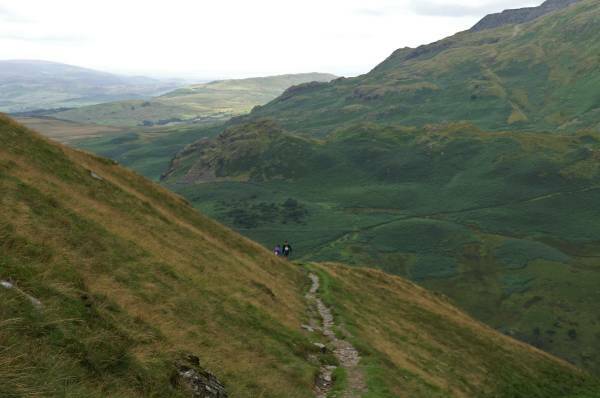 Walkers descend from Hole Rake. 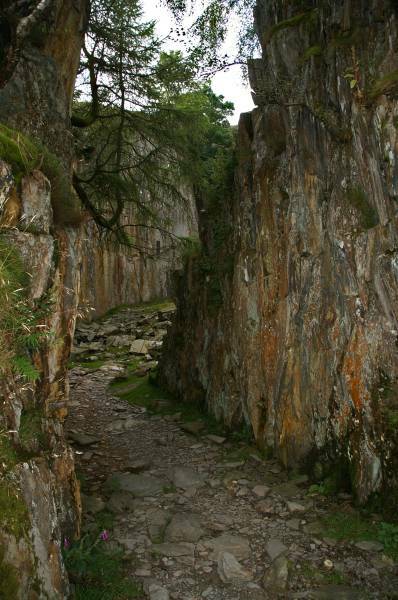 Looking to the scarred eastern facade of Coniston Old Man, the tourist path can clearly be seen climbing through the quarry spoil. I've just emerged from the northern end of Hole Rake to be greeted with this stunning view, the Fairfield Horseshoe, the dip to the left being Dunmail Raise. Passed on my descent one of many disused quarries. 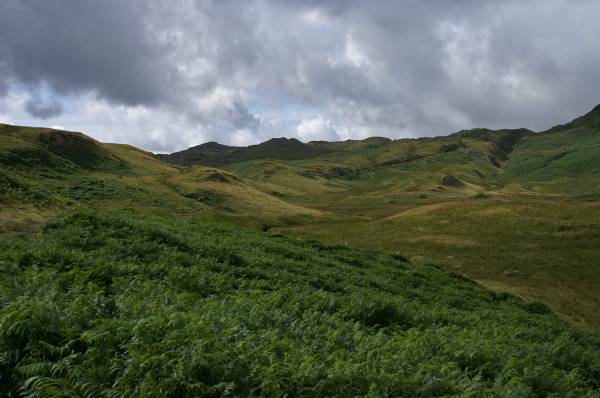 Looking to the oddly named Above Beck Fells, I suppose they are but aren't most. Crossing Yewdale Moss looking back to my descent route. 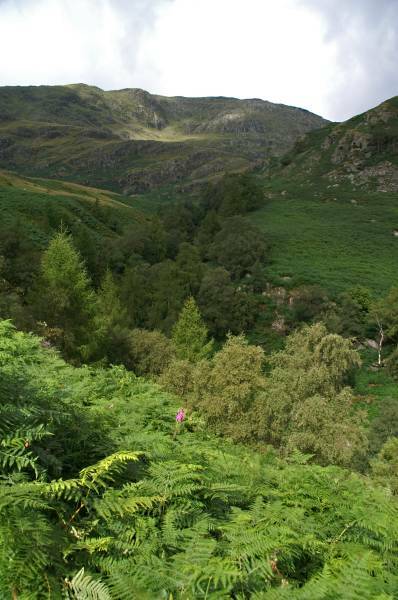 Black Crag rises above the shoulder of Holme Fell seen from the south side of Tilberthwaite Gill. 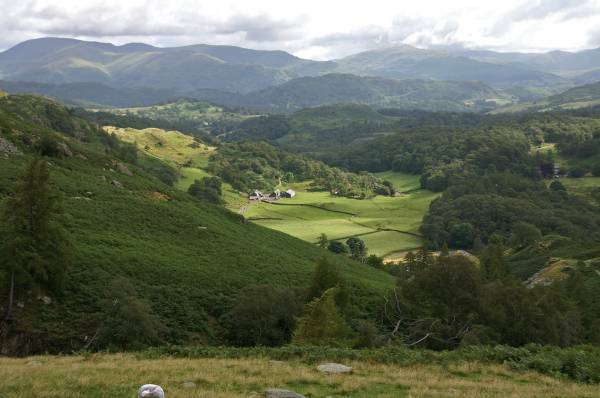 Looking to the green fields of Tilberthwaite. Tilberthwaite Gill once heavily mined for copper and slate now an impressive tree filled ravine. The entrance to another disused mine, for anyone interested in copper and slate mining there's months of adventure to be had here. 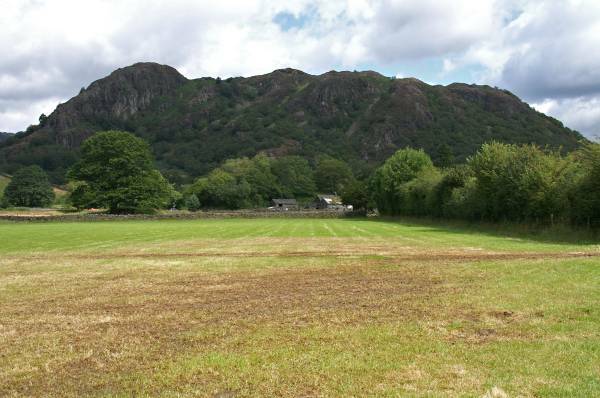 The Raven Crag face of Holme Fell as seen from the tarmac lane. 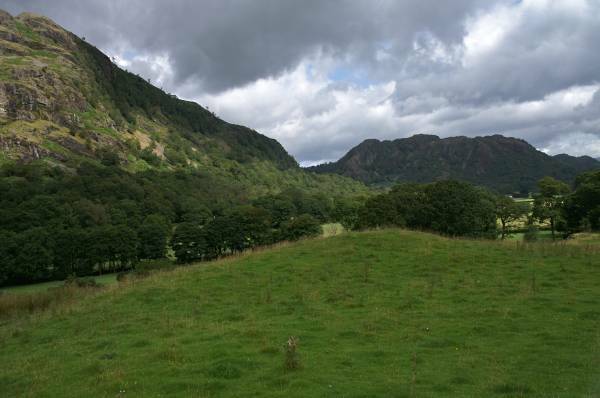 Rising from Tilberthwaite Betsy Crag and Knotts. Striding out through the freshly cut pastures of Yewdale. 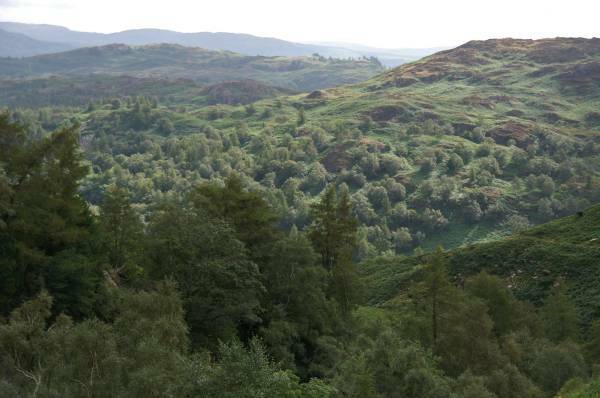 Towering above Yewdale Holme Fell. 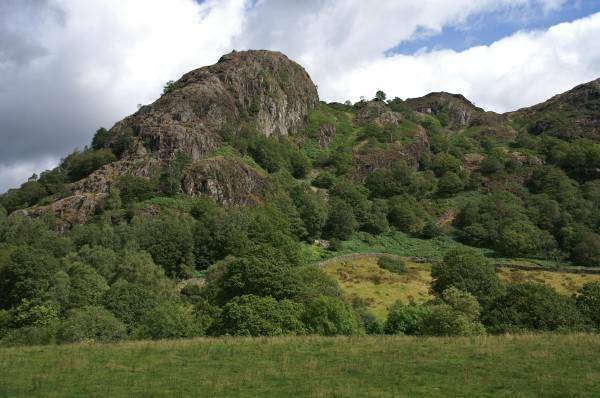 Sunlight on Yewdale Crag with Holme Fell closing the head of the valley. 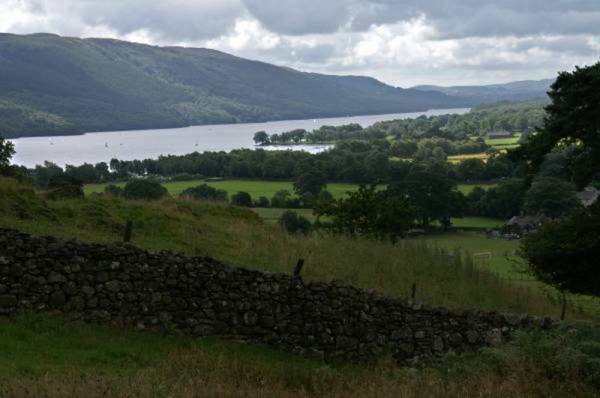 Descending to Coniston Village with wonderful views over Coniston Water. 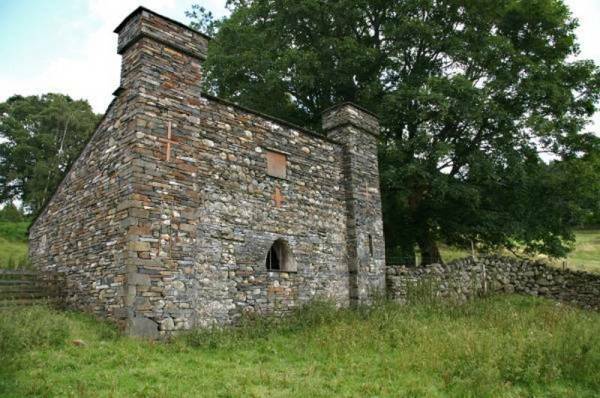 Passed at the bottom of my descent, The Dog House, proof of Victorian eccentricity, when the owners of the Monk Coniston Estate where told it was their responsibility to provide the Coniston Fox Hounds with a home, not having a gothic ruin on their land they built one, yes it's a kennel.